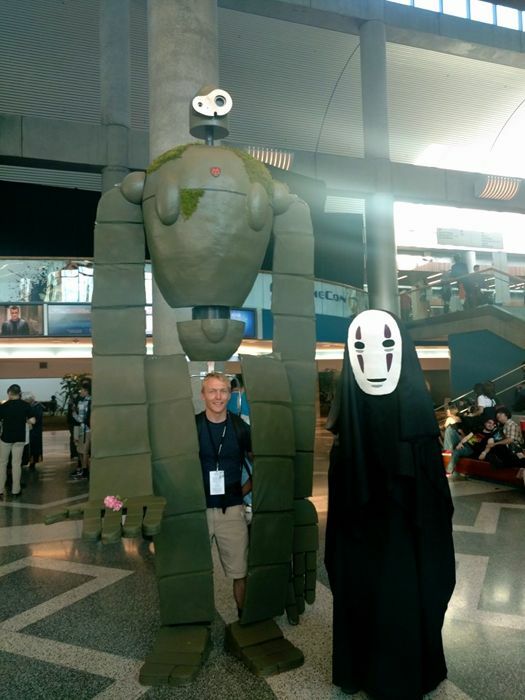 We love every new picture and update Grant shares from Fanime, where he's the Laputa robot from Castle In The Sky, a Miyazaki creation, like Kaonashi... the No Face spirit. "I can't express how thankful and proud I am to wear this phenomenal costume made with love by a crew of terrific people. William, Geoff, Clark, Alex, and everyone else involved: you have made my dreams come true. The Laputan robot lives!" You've just gotta see how this was made! Please, follow this link, and get some behind the scenes moments from building Version II of the Laputan Robot.